Before the trip, we asked klook cs when will be the time to get back to station but ca does not know at all after aeveral emails back and forth! I cannot plan ahead the local sight seeing booking well enough. Luckily on that day the lady arrived on time, gave our tickets and explained clearly. A bit undesirable is that my family with 2 children, there were only 2 seats which were together, rest 2 were in front and back row. Want to escape the hustle and bustle of London during your travels? Go on this independent trip to France's most romantic city, Paris, via these round trip train tickets aboard the Eurostar! A representative will meet you at London's St. Pancras railway station to give you your welcome pack and tickets ready for your two and a half hour Eurostar train journey to the Paris city center. 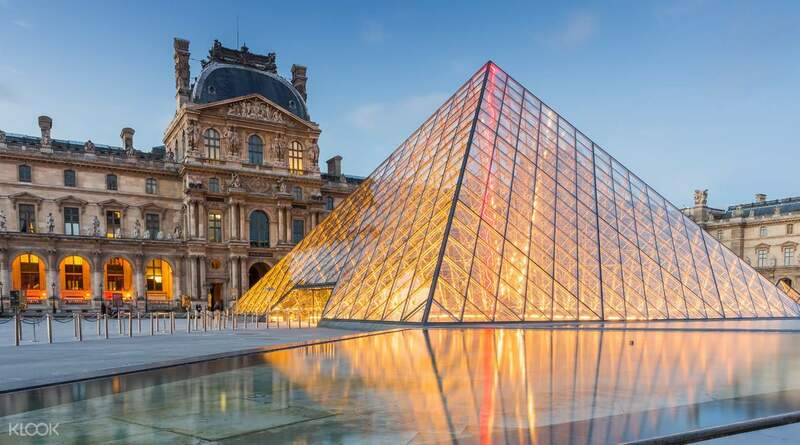 Move freely in the capital with your included Visite Paris Pass, which gives you access to the main transport systems including the Metro, RER, buses, and trams, making your sightseeing adventure even easier. Rather go via a hop-on/hop-off tour bus? No problem. 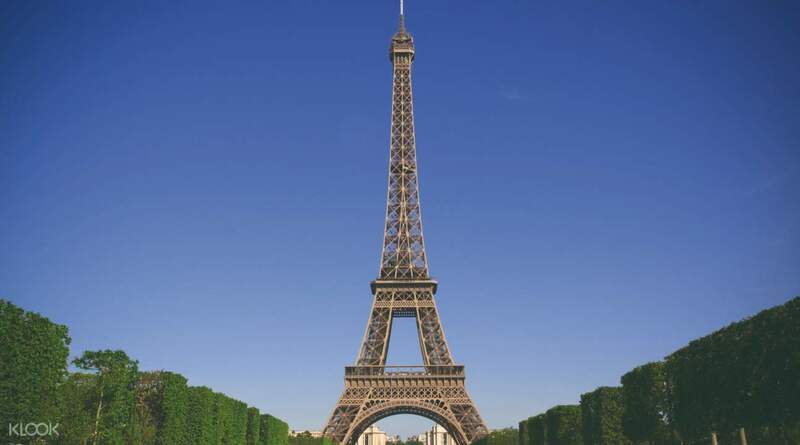 You can choose the open top bus tour instead and visit the historical must-see sites of the Eiffel Tower, Musee d'Orsay, Louvre museum and the shopping avenue of Champs Elysees. At the end of your day in Paris, make your way back to Gare du Nord station for your 9pm train back to London. Before the trip, we asked klook cs when will be the time to get back to station but ca does not know at all after aeveral emails back and forth! I cannot plan ahead the local sight seeing booking well enough. Luckily on that day the lady arrived on time, gave our tickets and explained clearly. A bit undesirable is that my family with 2 children, there were only 2 seats which were together, rest 2 were in front and back row. Before the trip, we asked klook cs when will be the time to get back to station but ca does not know at all after aeveral emails back and forth! I cannot plan ahead the local sight seeing booking well enough. Luckily on that day the lady arrived on time, gave our tickets and explained clearly. A bit undesirable is that my family with 2 children, there were only 2 seats which were together, rest 2 were in front and back row. NEVER BOOK WITH KLOOK!! THE TOUR GUIDE WAS 30MINUTES LATE, THEREFORE, OUR GROUP MISSED THE TRAIN AND WE HAD TO WAIT FOR ANOTHER HOUR FOR THE NEXT TRIP. AND SO WE LOST 2HRS IN PARIS(BECAUSE THEY’RE AN HOUR AHEAD OF LONDON). NO COMPENSATION FOR THE LOST TIME AND LONG WAIT. VERY UNORGANIZED AND VERY BAD CUSTOMER SERVICE. NEVER BOOK WITH KLOOK!! THE TOUR GUIDE WAS 30MINUTES LATE, THEREFORE, OUR GROUP MISSED THE TRAIN AND WE HAD TO WAIT FOR ANOTHER HOUR FOR THE NEXT TRIP. AND SO WE LOST 2HRS IN PARIS(BECAUSE THEY’RE AN HOUR AHEAD OF LONDON). NO COMPENSATION FOR THE LOST TIME AND LONG WAIT. VERY UNORGANIZED AND VERY BAD CUSTOMER SERVICE. Once you are in Paris, you can go anywhere you want to see it as a property in a day! I was wondering before I used this tour, but I think it's time for you to wonder if anyone else has felt that you lacked explanation! First of all, there are three shops at the shop entrance. Among them is the entrance to the station (next to the bakery). If you are a beautiful foreign coating? If you are holding the same thing, go check it out and get a ticket. 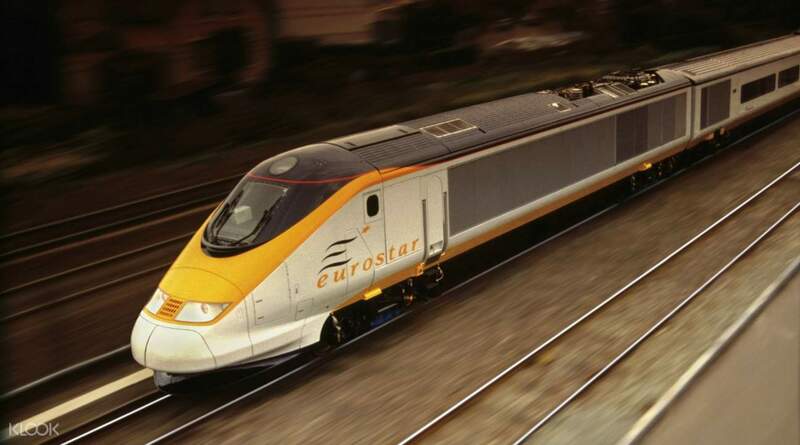 After you arrive in France, take a bus ride and you will go to Eurostar. There is no guide after arriving in France. I am worried about going to the bus company (Big Bus) without any information, but I am worried about it. I do not have anything to do. (It's easy!) Aside from the subway, I would recommend using the bus for a little more money. Although I do not know how to use the subway, I would rather recommend the bus if it is in the form of getting on the subway line. The buses hear one of the major attractions, can be dropped off and can be skipped. The bus also runs every 10 to 15 minutes, so it's easy to remember where you got off the bus! 일단 파리를 하루만에 속성으로 보고싶은 곳 이곳저곳 다닐 수 있어서 너~무 좋았습니다! 제가 이 투어를 이용하기 전에 궁금했지만 설명이 부족했다고 느낀 점을 혹시나 다른 분들도 궁금해 하실까봐 시간내어 끄적끄적 적어봅니다! 먼저 신발가게 Dune으로 오라고 적혀있는데 가게 입구가 총 3개입니다. 그 중 역 안(빵집 옆)의 입구입니다. 예쁘신 외국분께서 코팅?피켓? 같은것을 들고 계시는데 가서 예약자 명단 확인 후 티켓받고 설명(영어)들으시고 프랑스 도착 후 버스타는 위치 설명 들으시고 유로스타 타러가면 됩니다. 프랑스 도착 후에는 가이드 없습니다. 버스회사(Big Bus)관계자 분들께 영어 사용하면 어느정도 대화가 통합니다. (저의 경우를 말씀드린건데 제가 영어가 유창한게 아니라서 어느정도만 통했니다ㅎㅎ..) 그리고 생각보다 정보가 없이가서 걱정 많이 했는데, 걱정할게 없습니다.(쉬워요!) 논외로 저는 지하철 이용 보다는 돈을 조금 더 주고 버스이용을 추천드립니다. 지하철 이용은 제가 안해봐서 모르겟지만, 만약 지하철 노선을 알아서 찾아가는 형식이라면 차라리 버스를 추천합니다. 버스는 주요 관광지를 하나씩 들리는데, 보고싶은 장소에 내릴수있고, 건너 뛸 수도 있습니다. 버스도 10~15분 간격으로 계속 다니기때문에 버스내린 곳만 잘 기억하면 되게 편합니다! The event itself was good, but the local agent in London forgot to bring the bus redemption voucher to us. We had to go to Paris to collect it. The agent promised to call the Paris bus company, but did not do it. It took an hour to solve the problem and waste our precious. The sightseeing time, this bad review is for Evan Evans! 活動本身不錯, 但倫敦當地agent忘記帶巴士換領券給我們,要我們自行到巴黎領取， agent本承諾致電巴黎巴士公司交待, 但沒有做到， 最後花了一小時才能解決問題，浪費我們寶貴的觀光時間, 此劣評是給Evan Evans!